The Council is back to weekly meetings so this week’s agenda is a bit lighter than those for the previous months. The three-page response submitted by Diane Tradd, Assistant City Manager/Director of DPD included photographs of the current bike lanes. “There are over 200 miles of roadway in the City, with about 70 miles (one-third) containing double yellow lines and fog (white) lines. To date, the City of Lowell has painted 14 miles of dedicated bike lanes and 21.4 miles of sharrows (shared vehicle/bicycle travel lanes). “The City of Lowell has not separated bike lanes at this time. However, there are numerous regional and national studies that demonstrate the installation of separated bike lanes can increase bike ridership, decrease injuries to bicyclists, and decrease motor vehicle accidents and injuries. City officials joined by FEMA and Army Corps of Engineer staff will hold two public meetings to update impacted and concerned residents. The meetings will be held at 6:30 p.m. on Wednesday October 17th and Wednesday October 24th at the Do Polski Club, 10 Coburn Street in Lowell. Response prepared by Christine Clancy, City Engineer “…in recent year after Comcast, Verizon, National Grid developed a database to track the progress of double pole maintenance. Prior to implementation of the database, over 800 double poles existed in the City and that number has been reduced to 78 poles. Of 10,000 poles in the City, 78 poles, or less than 1% are double poles.” According to the report, the loose wires are left there for other providers or anticipation of further work. According to the response prepared by the City staff this improvement will cost $420,000. Jackson Street Trash Barrels: Motion (9/25/18) by Councilor K. Cirillo “Request City Manager have proper department assess the amount of accumulated waste in the Jackson Street area since the new installation of the waste receptacles.” According to the response, this past July 2 new pedestrian litter barrels were installed on Jackson Street. There were already 2 City barrels in that area as well as 2 private ones owned by the Lowell Community Health Center. Solid Waste and Recycling Update: Motion (8/14/18) Councilor J. Milinazzo “Request City Manager provide an updated report on trash violations and fines collected to date.” The 3-page report was prepared by Gunther Wellenstein, Solid Waste/Recycling Coordinator and Jim Donison, DPW Commissioner. The response discusses the current and future state of solid waste; gives an update on Solid Waste and Recycling violations and fines; and proposed changes to the City Ordinance. Councilor J. Leahy/Councilor D. Conway request City Manager investigate the feasibility of installing wide speed bumps at school locations. Councilor V. Nuon request City Manager have LPD and LFD host a community workshop regarding job opportunities in each department as well as outlining application process for those jobs. Councilor V. Nuon request City Manager update City Council, in a future scheduled Executive Session, regarding contract negotiations with fire and police unions. Councilor R.Mercier/ Councilor K. Cirillo Request permission for the Lowell Firefighters Association to move the Lowell Doughboys statute to the North Common to make way for the Monument Committee to construct an 911 Monument on City Property at the corner of Fletcher and Willie Streets. 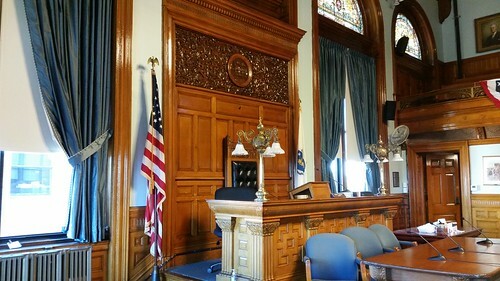 Mayor B. M. Samaras request City Manager work with National Grid to develop a presentation to the City Council on the steps and procedures that are taken by National Grid and the City to ensure safety for residents of Lowell.